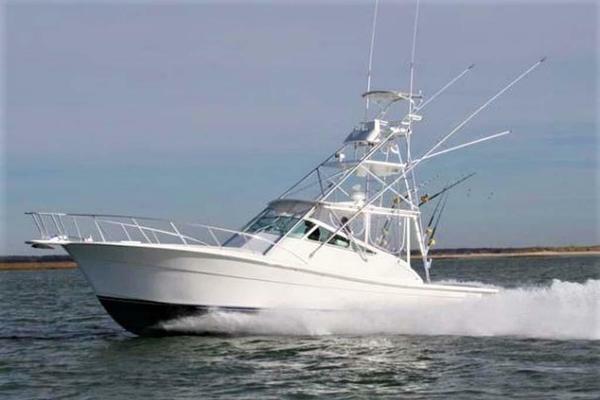 Mary Anne is a nicely rigged 32 Blackfin 1988 powered with Twin CAT 3208TA’s 375hp. Raymarine E120, radar, chartplotter, and sounder. Half tower with enclosure, outriggers, 2 new batteries. This Blackfin is in the water and ready to be sold. West Florida Yachts would love to guide you through a personal showing of this 32' Blackfin Flybridge 1988. This yacht for sale is located in Cape May United States and priced at $39,900. For a showing please contact us by filling out the form on this page and we will get back to you shortly!